Home / Giveaways / 3 Great New Movies for Kids! 3 Great New Movies for Kids! Just one look at this Ugly Benny trailer and you will be sold! This is one of the most adorable movies. We have all been told to never judge a book by its cover, and this uplifting story shows how that can play out in a dog’s life. Benny is one of those dogs that is so ugly as a puppy he is cute! I loved the way he looked and Destini was awwwing from the very start! She is a dog lover at heart and was so intrigued by this movie. It just goes to show you that no matter what you MAY be expecting you never know what might show up at your doorstep! What is it about a golden retriever that can just pull at your heart-strings in a way no other dog can? I don’t know about you but when I first saw the dog in this movie, I knew I was going to be a sucker for it! Such a beautiful story of rescuing a dog and sticking to your word. Even at 12 years old if you make a commitment to rescue a dog you stand by your word. Summer rescues her, but the whole neighborhood needs to help with what is right for Shadow. Even though I really wanted Summer to keep this dog, I wanted to climb through the screen and get her for myself. Such an inspiration to watch and a great movie to hold kids attention. Summer’s Shadow is not to be missed! One of those super cute movies that most young teens are going to fall in love with instantly! 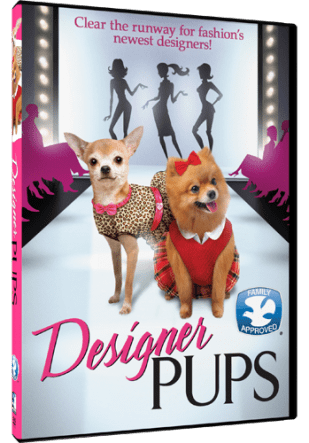 Fashion, cute dogs, a celebrity a bad guy and a super impressive aspiring designer brings to life a really neat movie for kids and families of all ages! This designer really takes her dogs fashion sense to heart and lets her cute pups help her make designs and choose prints to make her wonderful gowns from. Of course when the competition learns who is helping they have to dognap those dogs! This is an adventurous movie that keep people always rooting for the under DOG! Its coming out in October and will make great stocking stuffers his holiday season. 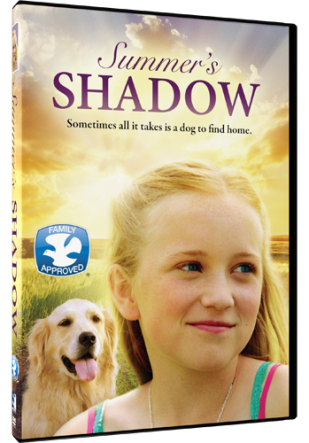 Summer’s Shadow looks like a sweet, interesting movie! 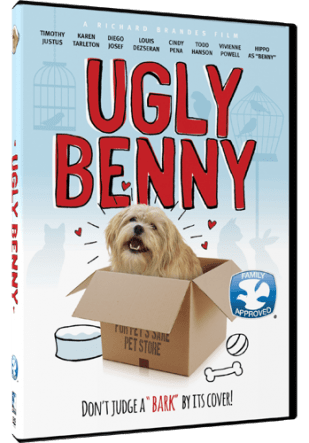 I think the Ugly Benny movie will be the best one. Probably a bit of a tear jerker with a feel-good ending.